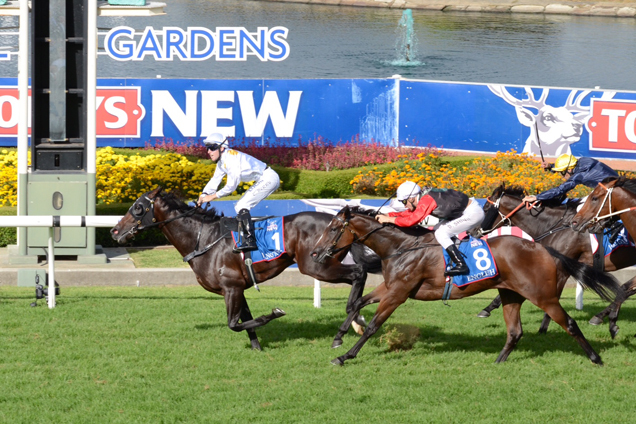 2015 Golden Slipper winner Vancouver, Gai Waterhouse Dance Hero failed to win after Slipper win. Saturday’s 36th renewal of the group three San Domenico Stakes at Rosehill presents as a puzzling exercise for punters trying to find the winner. This is especially so if relying solely on the previous season’s Golden Slipper winner as having a mortgage on the race. Since 1992 the Golden Slipper Stakes has provided 64 runners in the San Domenico Stakes, many using the race to kick off their three-year-old campaigns. While not many Golden Slipper winners run in the San Domenico Stakes – just four in the last 21 years – they have all been beaten, Flying Spur (1995), Calaway Gal (2002), Dance Hero (2004) and Stratum (2005). 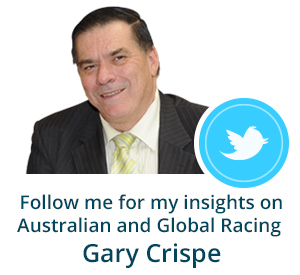 In 35 years just two Golden Slipper winners have achieved the double – Tierce in 1991 and Sir Dapper in 1983. In the same 21 year period, placings in the Golden Slipper have fared much better, eleven runners for three winners Charge Forward (2004) and fillies Media (2005) and Snitzerland (2012). The cold hard facts based around the San Domenico historical statistics are more in favour of horses that finished out of a place in the Golden Slipper then returning for their three-year-old year. In 21 years ten San Domenico Stakes winners have fitted that profile, Surtee (1992), Lord Jim (1994), Our Maizcay (1995), Sovereign State (1996), General Nediym (1997), Mistegic (2001), Gold Edition (2006), Obsequious (2010), Foxwedge (2011) and Va Pansiero (2013). Saturday’s renewal not only has two unplaced Slipper runners amongst the field commencing their three-year-old careers - Headwater and Haptic but also unbeaten Golden Slipper winner Vancouver who will attempt to join Tierce and Sir Dapper as the only three horses to complete the double. History would suggest Headwater and Haptic have better prospects than Vancouver however If successful Vancouver would etch out his own piece of history, the winner to keep his unbeaten record intact. The picture maybe different if we look at the San Domenico Stakes from a Timeform ratings angle. The five year average winning Timeform rating for the San Domenico Stakes is 115, and history shows, that for Slipper placegetters at least, an end of season two-year-old rating that exceeds that value is certainly a positive factor for success. Of the three winning and eight placed Golden Slipper horses to contest the San Domenico Stakes, eight went into the race with a Timeform rating that exceeded that value with the two winners Media (119) and Snitzerland (118) meeting the criteria – both fillies. Figures to date show that the fillies’ success is not statistically significant either way as the fillies have won around 35% of San Domenico Stakes from roughly the same participation rate. 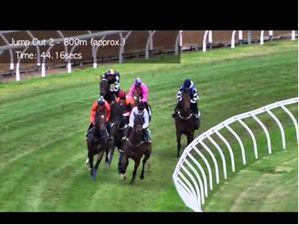 On the down side was the fact that the three highest Golden Slipper rated horses (all winners of that race) to contest the San Domenico Stakes – Flying Spur (122), Dance Hero (124) and Stratum (122) - were unsuccessful. On the other hand, the ten winners of the San Domenico Stakes that were unplaced in the Golden Slipper had an average Timeform rating of 107 from their Slipper run with just two having performed to 115 or above. The two unplaced Slipper runners in Saturday’s renewal are Headwater and Haptic who finished the season with Timeform ratings of 115 and 112 respectively. So where does that leave Vancouver who ran a new career peak Timeform rating of 122 in winning the Golden Slipper Stakes? At that level, Vancouver was one of the higher Timeform rated winners of the Golden Slipper in the last 25 years, two pounds below Sepoy and Dance Hero as the highest rated winners both with Timeform ratings of 124 and a pound off Pierro and Bint Marscay on 123 but on par with other excellent winners such as Flying Spur, Sebring, stratum and Guineas. 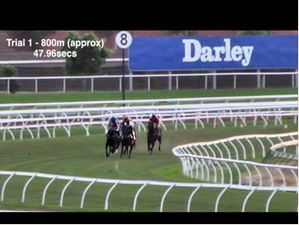 But as we have seen, for the San Domenico Stakes at least, such a high figure is no guarantee of success. In the broader context of what may lie ahead for Vancouver, an examination of past Timeform ratings profiles for Golden Slipper winners with that level of Timeform performance shows we can expect a male Golden Slipper winner to reach on average, a new Timeform rating peak at three of around two pounds higher which would indicate that if Vancouver follows that profile he will at least reach a Timeform rating of 124 at three and maybe in some circumstances reach 129 at the extreme end – and increase of five pounds which Pierro and Sepoy both achieved at three. 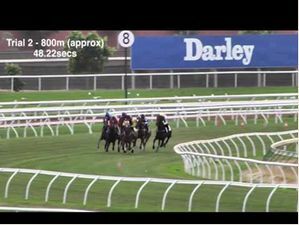 So while the odds seem against Vancouver from both a historical and ratings perspective in Saturday’s San Domenico Stakes, there may still be one outlying factor in is favour- the fact he did not race on past his Slipper victory as both Dance Hero and Stratum had done before him? 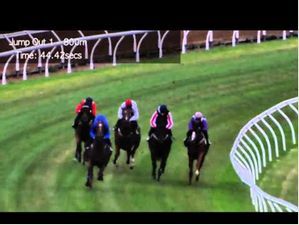 An intriguing race awaits that promises to shape the Spring campaigns for several three-year-olds but if you are trying to find the winner, history suggests an unplaced Slipper winner may be a better bet than the winner. It is also worth noting that the last San Domenico Stakes winner to score at group one level the following Spring was Gold Edition in 2006 who won the 2006 Coolmore Stakes. The last male winner of the San Domenico Stakes to achieve the same feat was Testa Rossa who took out the Vic Health Cup in 1999.